The Silverline Fingerless Neoprene Mechanics Gloves are spandex work gloves with reinforced synthetic suede palms and neoprene knuckle pads for enhanced protection, and a fingerless design for greater dexterity and control. 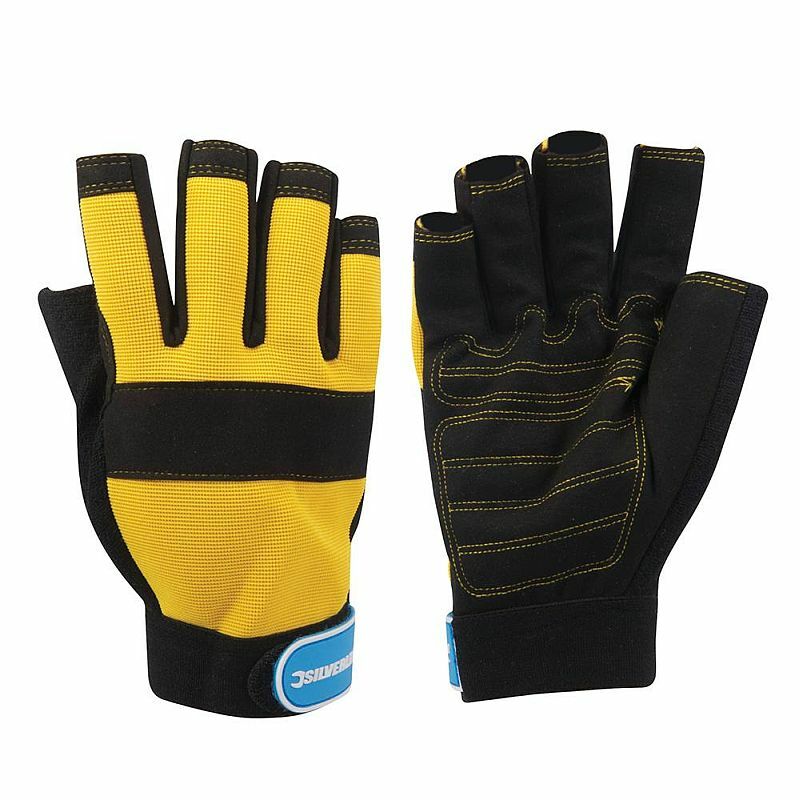 With their durable construction and reinforcements, these gloves are ideal for a wide range of manual tasks, including automotive work, home improvements, maintenance and general handling. The Silverline Mechanics Gloves feature a fully-fingerless design, with the top of each finger exposed. This provides the user with good control and tactility sensitivity for safer handling, and allows for greater precision when required. The Fingerless Mechanics Gloves feature synthetic suede palms and neoprene knuckles. Both the suede palms and neoprene knuckle reinforcement increase the durability of the gloves in these high-wear areas, as well as enhance the protection provided to the palm and knuckles, respectively. The Silverline Mechanics Gloves are available in sizes Medium and Large only. Due to the stretchy nature of spandex, one of these sizes should fit most users.